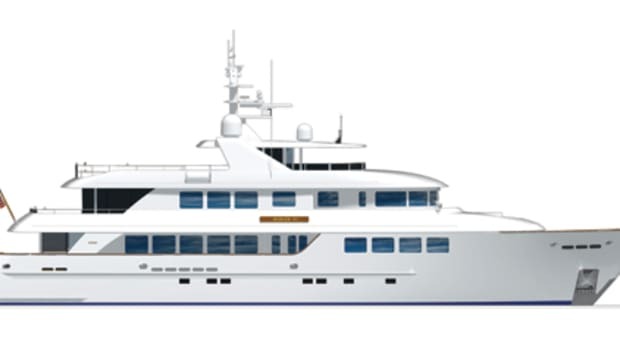 The latest and largest project yet undertaken by this venerable Maine builder is a classy, 94-foot motoryacht that was designed in collaboration with the C. Raymond Hunt organization. 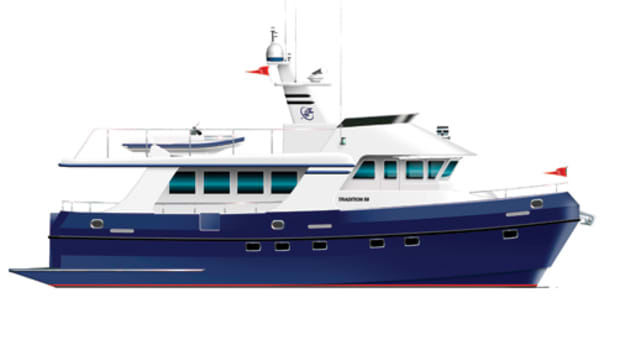 She is being built for the owner of Tumblehome, a similarly styled Lyman-Morse 90-footer designed and built by the same team about ten years ago. 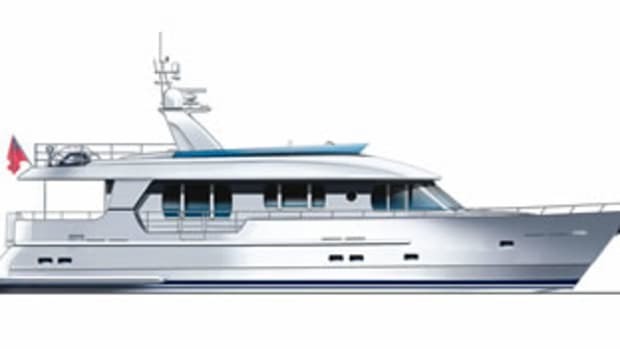 Similar to her predecessor in profile and layout, the new 94 will have larger engines and more sophisticated electrical and electronics systems. 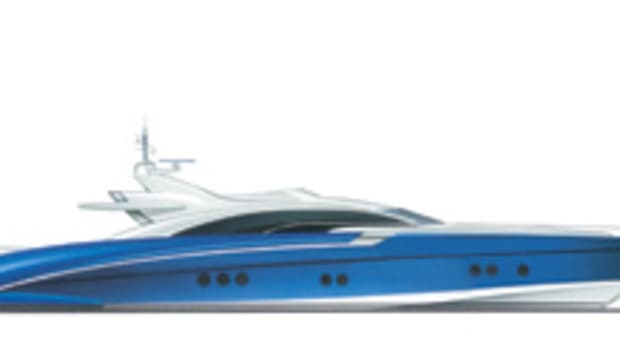 Powered by twin 2,000-hp MTU 16V 2000 diesels, she&apos;s designed to cruise at an impressive 27 knots, with a top speed of about 30 knots. To assure a soft, dry ride at that spirited pace, her modified-V hull form has a deep forefoot, a fine entry, and generous bow flare. Aft, she has wide chine flats to provide lift at higher speeds and modest propeller tunnels that will reduce shaft angle and draft. To keep her structure light but strong, she was built using SCRIMP resin-infusion. A set of construction photos illustrates the SCRIMP infusion process and latest construction details. Classically styled, her profile is enhanced by a strong sheerline with just a hint of curvature that accentuates her low, stable appearance. 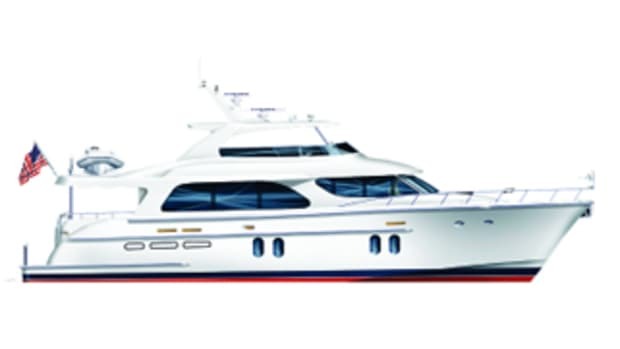 Wide side decks will make it easy to meander from the open "rumble seat" on her foredeck to a more sheltered area on her aft deck. 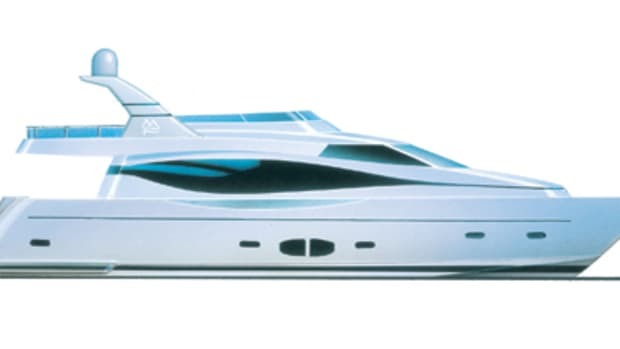 With attractive lines but no frills, she projects the look of a yacht built for cruising, not dockside entertaining. Her interior layout underscores that impression in spades, with a modestly proportioned saloon and formal dining area aft adjoining a large, well-equipped galley, while a state-of-the-art helm station and navigation center dominate the forward end of the deckhouse. On her lower deck, there are but two staterooms. 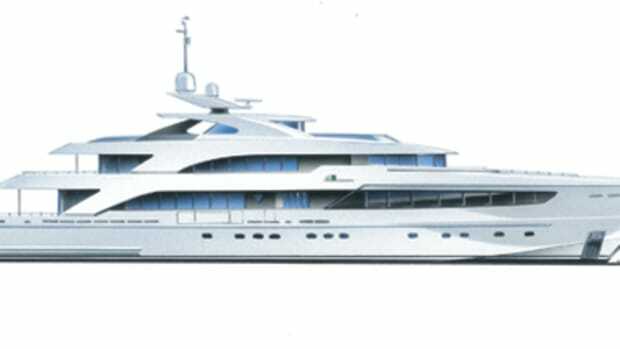 A full-beam master suite amidships offers his-and-her heads that serve as a buffer between the sleeping area and the machinery space aft. 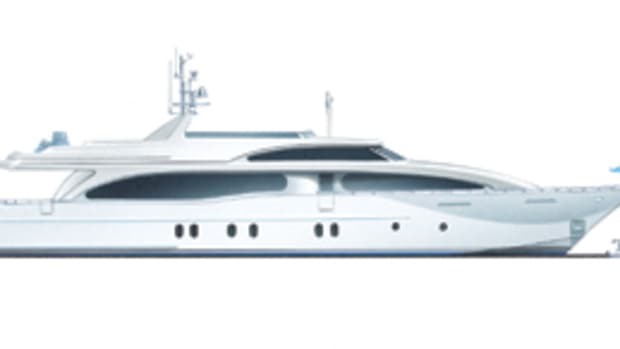 Forward is a full-beam VIP suite nearly as big as the master but with only one head and less closet space. Two identical crew staterooms are in the bow, each with en suite head and separate shower enclosure. 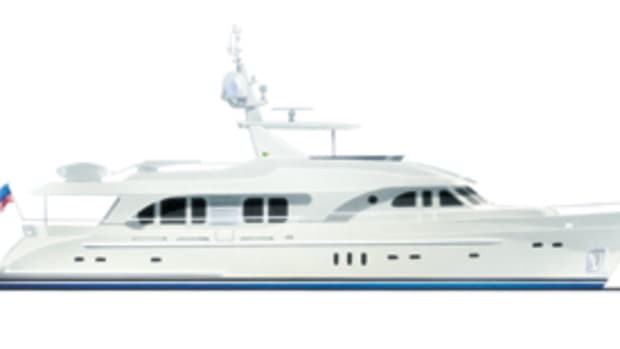 In the final stages of construction, this 94-footer is now being offered for sale, as her owner has embarked on the construction of an even larger Lyman-Morse motoryacht.